The FSEC Energy Research Center at UCF offers a wide range of continuing education courses covering renewable energy and building energy technology topics. Most courses include both classroom instruction and hands-on field experience. In many cases, attendees can receive continuing education units (CEUs) and some courses are approved for Florida professional license renewals. 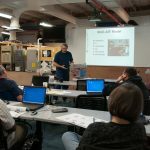 This week-long course covers the design and installation of photovoltaic (PV) systems, and involves actual hands-on work with PV systems and equipment. 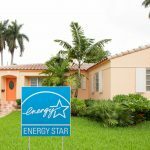 Home energy ratings provide a standardized measure of energy costs and efficiency. Ratings in Florida can only be conducted by state-certified Raters. Following the prerequisites, courses should be taken in order as indicated below. 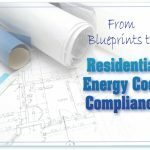 From Blueprints to Residential Energy Code Compliance (Online Version). Instructor-Led version of this course offered in By Request Only section. 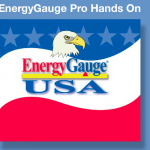 EnergyGauge Pro Hands-On (Online Version). Instructor-led version of this course offered in By Request Only section. A Class 3 Rater can only rate new buildings. A Class 2 Rater can rate new or existing buildings using site audit data. A Class 1 rater can rate new or existing buildings using both site data and actual field performance tests of the building’s energy efficiency. Think you know what it takes to challenge the EnergyGauge or RESNET exams? 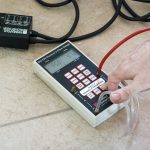 Need to retake an EnergyGauge, Energy Star or RESNET exam? Register online for the date that is convenient for you. This training is tailored for the home energy rater to fulfill the training requirement of ENERGYSTAR version 3.0. If you’re already a certified rater, enroll in this course to extend your rater status for three years. Need a little review? This class is designed to “refresh” the certified rater in proper rating procedure and performance testing. This course will familiarize HERS Raters with the new RESNET Combustion Appliance Safety Testing protocols outlined in Chapter 8 of RESNET Standards. 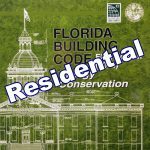 If you work in the Florida residential construction industry, this series of courses will familiarize you with the energy code, the skills needed to use the energy code, and the tools to ensure compliance. 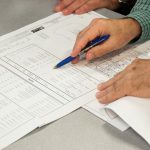 Examining the blueprints is one of the first steps to determine energy code compliance. This course will guide you through performing take-offs to perform compliance calculations. Learn the same material, but from the comfort of your computer, at your own pace. 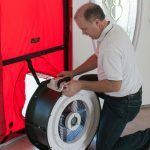 Learn how to perform residential building air leakage tests using a blower door in compliance with 2014 Florida Residential Energy Code. 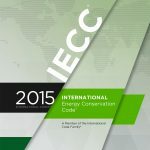 Obtain a working knowledge of 2015 International Energy Conservation Code residential compliance methods and reporting and the RESNET Quality Assurance process. FSEC requires a combustion performance exam in addition to the RESNET combustion safety requirements. The test will be performed at a real home which utilizes combustion appliances. You will have 2 hours to complete the exam. See full description to schedule exam date and time. As part of the FSEC Rater Agreement and the RESNET Standard a “probationary rater” must have at least two probationary ratings performed in the presence of a Quality Assurance Designee or Delegate. This includes the QA Designee (or Delegate) to supervise, on site, the probationary rating and to check the rater file input for errors. As part of the Rater Agreement and the RESNET Standard a “probationary rater” must do at least 5 probationary ratings, in which one can be from plans. The review of the plan, which is supplied to the student, will result in one of five probationary ratings. 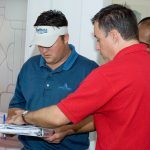 Obtain a working knowledge of the Florida Commercial Energy Code and introduce yourself to EnergyGauge Summit by running energy use simulations and reviewing code compliance reports. This course provides a more in-depth review of EnergyGauge Summit focusing on more detailed input of building information and analysis of the various reports. Explore the methods required to accurately assess commercial buildings and obtain your commercial energy rater certification. The following courses are available at FSEC in Cocoa, FL or off-site on an as-requested basis. If you or your company are interested in attending a particular course, please email info@fsec.ucf.edu. An infrared camera can be a helpful tool in diagnosing a variety of problems. This course will introduce students to the basics of thermography as it applies to diagnosing building conditions. 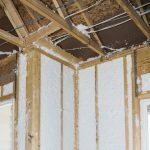 Learn the basics of air leakage, tools, and materials used in attic preparation, as well as the trouble spots found repeatedly on a job site. There will be demos and hands-on experiences of proper attic preparation. Students will practice installing dense-pack insulation and explore the various inspection techniques available. Common pitfalls and installation techniques will be covered. This course will cover methods to reduce air leakage in floors, walls and ceilings adjacent to buffer zones (attic, crawlspace, attached garage) and also to determine if air-sealing is needed. 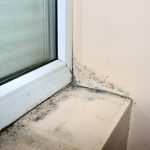 Learn how to avoid elevated indoor humidity and building moisture problems in hot and humid climates, including uncontrolled airflow, building pressures, ventilation, mold and mildew problems. Understand the requirements of the HVAC QI Technician Checklist for ENERGYSTAR® V3 and how to complete in the most efficient way. This 1.5 day course will provide additional guidance on the Manual J and the ENERGYSTAR® compliance. 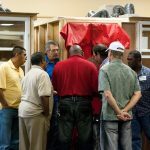 Participants will gain an overview of the concepts behind the industry standard ACCA Manual J, D, and S in the design, installation and cut fabrication for HVAC systems. This course will expose attendees to more in-depth usage and applications of Manual J. This is a hands-on, interactive learning session and requires each attendee to bring his or her own laptop. 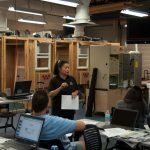 Two-day training offering green building techniques for Florida homes. 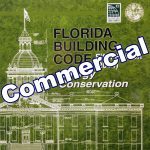 Individuals who complete this course and exams may become an accredited Certifying Agent of the Florida Green Building Coalition provided they meet the eligibility requirements. Why attempt a zero energy home? What are some of the costs and concerns? 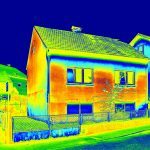 Review case studies of near-zero and zero energy homes and some of the key findings from each one. This course considers many design stage parameters, from solar orientation and shading to location of HVAC and renewable equipment, and material selection. Follow our case study through the design stage. Learn how solar water heating systems, electric dedicated heat pump water heating and gas tankless systems work. Achieve renewable energy savings by providing solar water heating. Explore various types of solar water heating systems, typical savings and costs, and key features to specify based on climate and operation considerations. Learn what matters when selecting windows and walls for your climate and your application. Our experts will tell you the energy savings you may expect and the important characteristics to look for when choosing windows and walls. Roof materials, attic insulation, duct location and radiant barrier systems are all covered in this Webinar. Make the right roofing system choice to reduce energy use in your home. 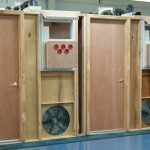 Learn the impact of correct sizing, duct layout and duct tightness. This course covers air circulation systems in conjunction with heat pumps, geothermal heat pumps, and gas furnaces. Learn how to reduce energy by selecting ENERGY STAR® appliances and electronics, efficient pumps, ceiling fans, and minimizing lighting requirements. Learn how to size a solar photovoltaic system and the pros and cons of selecting different system types such as efficiency, durability and price. 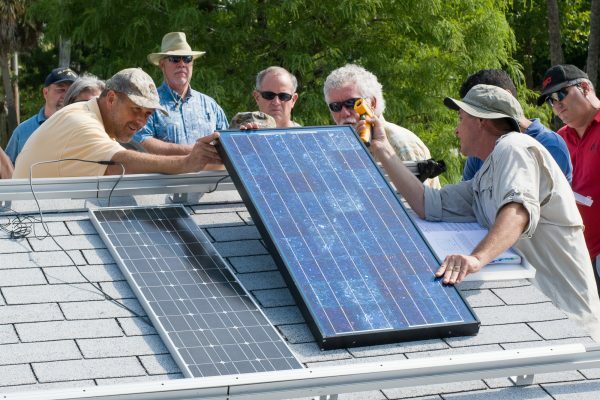 This Webinar will explore how you can install your grid-connected solar system within code regulations to supply emergency power when the grid is down. The course includes a video visit to a home with such an installation. This course will examine locations for the solar system based on shading considerations, roof mounting, electrical runs, inverters, meters and monitoring. 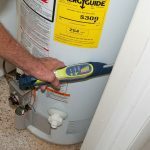 Learn how to install a system right the first time! 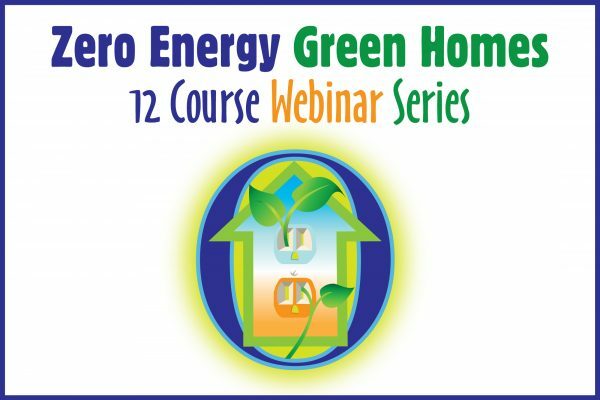 This course is designed as a guideline for an occupant in a zero energy green home. It will cover more than 30 considerations to maximize savings, comfort and occupant satisfaction. 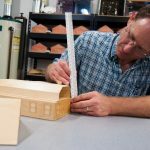 From the WAPTAC Standardized curricula and based on the NREL / U.S. DOE Job Task Analysis, this two-week lecture-lab provides the student with an in-depth understanding of the auditing process and treating the house as a system. From the WAPTAC Standardized curricula and based on the NREL / U.S. DOE Job Task Analysis, students will be introduced to and practice the skills needed to become an effective QCI during this 5-day lecture-lab course. 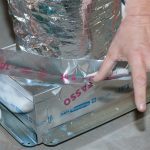 The videos demonstrate testing methods that weatherization inspectors need to perform in order to determine the appropriate weatherization measures needed, and to ensure the safe operation of the house.